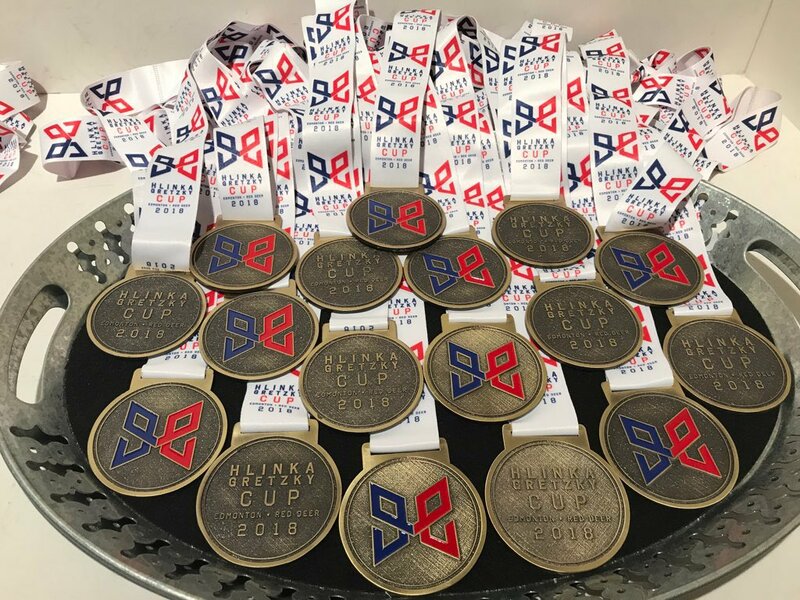 Team Canada deservedly won the Ivan Hlinka Memorial Tournament gold medal match to regain the title they were unable to defend last year. 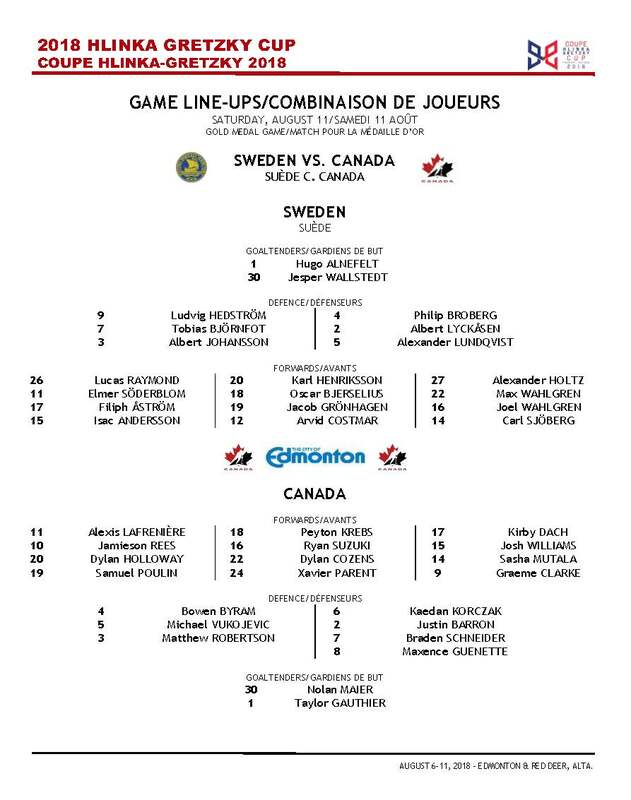 Canada: Rodrigue – Addison, Smith (A), Woo (A), McIsaac, Merkley, Dobson, Bahl, Shepard – Thomas, Hayton, Foote – Noel, Veleno (C), McBain – MacDonald, Groulx, Burzan – Dudas, Dellandrea, Fortier. 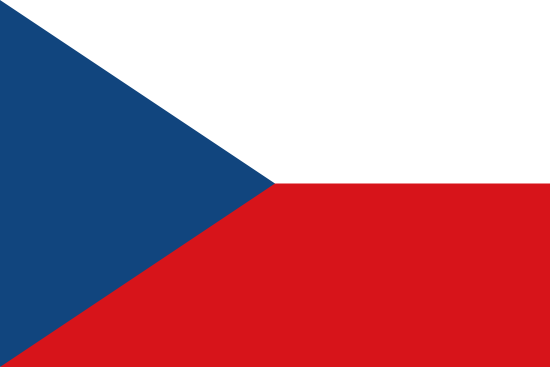 Czech Republic: Dostál – J. Michálek, Dluhoš, Klejna, Kowalczyk, Malík, Adámek – Blümel (A), Pekař, Lauko (C) – Plášek, Střondala, Jeník – Kvasnica, Čajka (A), Gajarský – Sedlák, Arnošt, Matiášek – Pavel. Goals and assists: 17. McIsaac (McBain), 23. Veleno (McBain, Dobson), 40. Bahl (Dobson, Thomas), 48. McBain (Smith, Thomas) – 27. Arnošt (Sedlák). Shots: 46:19 (19:4, 16:9, 11:6). Penalties: 4:2, plus Merkley (CAN) 10 min.. PP goals: 0:0. SH goals: 0:0. A commanding performance from the Canadians saw them on front foot from the get go, and outshooting the Czech Republic 19-4 in the first period. The hosts were unable to get out of their zone for long phases of the opening period, and it was surprising only that the deadlock took so long to be broken. 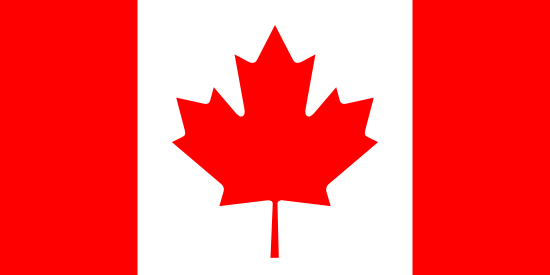 Eventually, with 16:26 played, Jared McIsaac's top-shelf wrist shot flew past Lukas Dostal to put the Canadians ahead. Period two started in the worst possible way for the hosts, who began the middle period with a carried over power play. With 2:19 played, captain Joe Valeno pounced on a rebound in the crease to double his side's lead. A pair of goals down, the Czech Republic eventually started to come into the game a little more, and found a way back into the game with a scrappy goal - persistent play in the offensive zone eventually saw Dominik Arnost poke home from the top of the crease to send the home fans wild. As it looked to be heading to the third period as a one-goal game, a lapse in concentration from the home side Kevin Bahl to float a shot into the top corner through traffic and re-establish the Canadians' two-goal lead with 31 seconds remaining in the period. The Czechs had 1:30 of power-play time early in the final period during which one felt they really had to score if they were to have any chance of getting back into the game. The chance, however, went begging and, a couple of minutes later, the result was put to bed. Crisp passing in the offensive zone eventually saw a Dostal save, but the rebound fell to Jack McBain, who tapped in from close range and make it 4-1 at 47:53. There were a few moments of opportunity for the home crowd to get excited about as the clock wound down, but solid defence from Canada saw them hold on to the 4-1 lead and win the gold medal!